Bitcoin logo on wall with stock price candlestick chart behind. 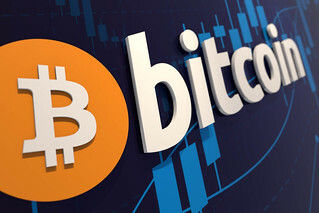 Many more free Bitcoin images and other crypto coin photos can be found on our website at QuoteInspector.com. Please provide attribution to the main collection on our website rather than to this Flickr page.